In a hearing that was long overdue, the House Judiciary Committee held a hearing to address the ominous rise in White Nationalism in America. Most minorities didn’t need an official House Hearing to detail the onslaught of hate hurled their direction on a daily basis, both online and in nearly every aspect of their lives, from the workplace, institutions of education, even places of worship have proven to become targets of a growing number of White Supremacists who have been emboldened under the leadership of Donald Trump. Bizarrely, Controversial conservative mouthpiece, Candace Owens, took to the floor to testify that, you know, White Nationalism is a myth perpetuated by Democrats as a means to win the 2020 Election. Shockingly, Owens literally denied that prejudice in America even existed as anything more than a machination created by liberals. Meanwhile, because this specific hearing was one of such public importance, the hearing was live streamed via Facebook and Youtube so those who could not be present might listen to our Nations leaders finally address the plague of bigotry that is impacting so many lives in America. However, all of those live streams had their accompanying comments quickly disabled mid-hearing as Owens rambled on about Hate not really being an issue of relevance. Why were all live broadcasts ended prematurely? Hate. 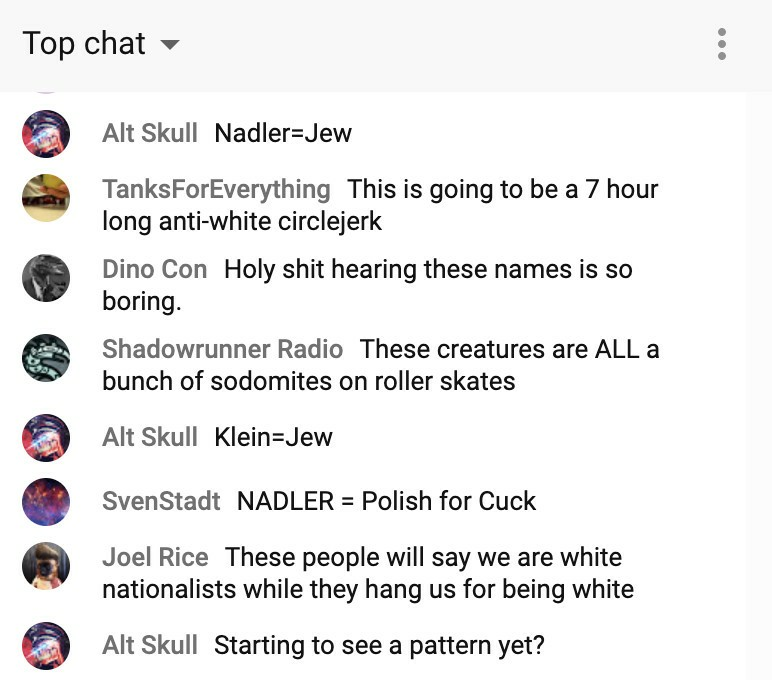 The live chats that accompanied the streams were full of people targeting not only Americans of color, the LGBTQ community, Muslims and Jews, but also Democrats conducting the hearing along with Democratic Presidential Candidates like Pete Buttigeig, Joe Biden, Kamala Harris and Corey Booker. The hatred being spewed had made the broadcasts so septic that both Facebook and Youtube decided to cease the broadcasts and close the chat sessions. I was one of the people watching. Perhaps the most disheartening of all of this remains the fact that Owens, herself, is a woman of color… she exists at an intersection of targeted prejudice, oppression and radical attacks just because of who she is and what she looks like- yet still, she has found her platform being a defender of those who would subjugate her. Congressman Ted Lieu brought up Owens ominous history of making remarks defending Nationalism. If ever the House Committee needed evidence of the reality that hate doesn’t just exist, but is thriving and growing at an alarming rate, the could have dismissed Owens from the hearing and just watched the comments.